Nursing students and lecturers have set up a network that aims to encourage more men into the profession. 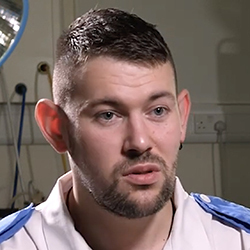 Sheffield Hallam University’s Men into Nursing Together (MINT) project uses social media to connect male and female nursing students with registered nurses to share their experiences of studying and working in nursing. The group has attracted 1,700 members since it was established in 2018, with individuals joining from the UK, United States, Australia and South Africa. In 2018, 10.6% of nurses in the UK were men, according to the Nursing and Midwifery Council. Sheffield Hallam University (SHU) nursing student and MINT group chair Dave Gwinnell said: ‘Those involved in MINT often meet to take part in charity events that seek to promote positive role-modelling, and these continue to attract new members. ‘Caring is central to nursing, but caring is still predominantly seen as a role performed by women. However, caring can be done equally well by men and women. SHU principal lecturer in adult nursing David Wood said: ‘It is still seen as a female profession, which is not helped by some of the gendered job titles, such as "matron" and "sister", which need rebranding with gender-neutral job titles. ‘Gender stereotypes are formed at a young age, so more work is needed with children of school age to change this. Nursing needs to be presented as a good career choice for boys in schools. However, not everyone is a fan of male-focused recruitment campaigning, and the RCN’s 2018 congress rejected a call for a strategy that targets men.